If you constantly have a sweet tooth like I do, but can’t afford to eat Reece’s Pieces Cups and mint chocolate chip ice cream every day, then take advantage of this healthy sweet treat option. Not only is this simple to make, but it is also inexpensive and yields a large batch. 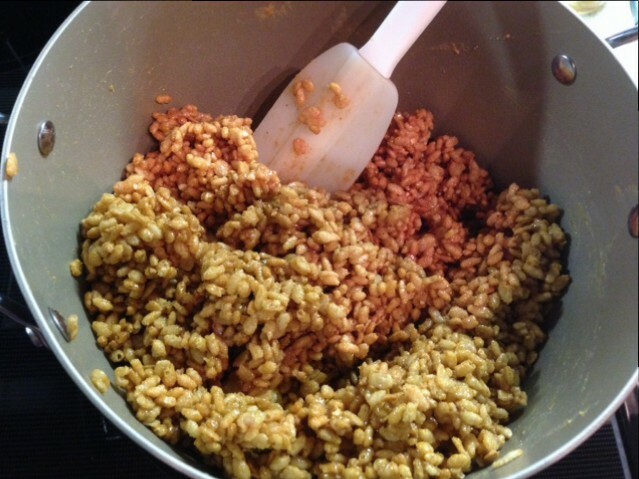 Give my healthy peanut butter rice crispy treats a try! Begin by combining the honey and peanut butter in a large pot over low heat until melted, 3-5 minutes. Turn off the heat. Add the brown rice cereal and dried cranberries to the mixture and stir to combine. Then, add the chocolate chips and coconut flakes and gently combine. Press the rice crispy mixture into a 9 by 13 inch pan sprayed with cooking spray. Allow it to cool for an additional 10-15 minutes and then pop into the fridge for 30 minutes. Cut into 2 by 3-inch squares and serve. This crunchy treat will definitely satisfy your sweet tooth! I just want to tell you that I am new to weblog and certainly enjoyed you’re web blog. Very likely I’m want to bookmark your blog post . You definitely have terrific well written articles. Thank you for sharing with us your blog.